Are you tired of eating the same fried chicken and tangy b​bq sauce? Do you crave a little sweetness with your ribs? 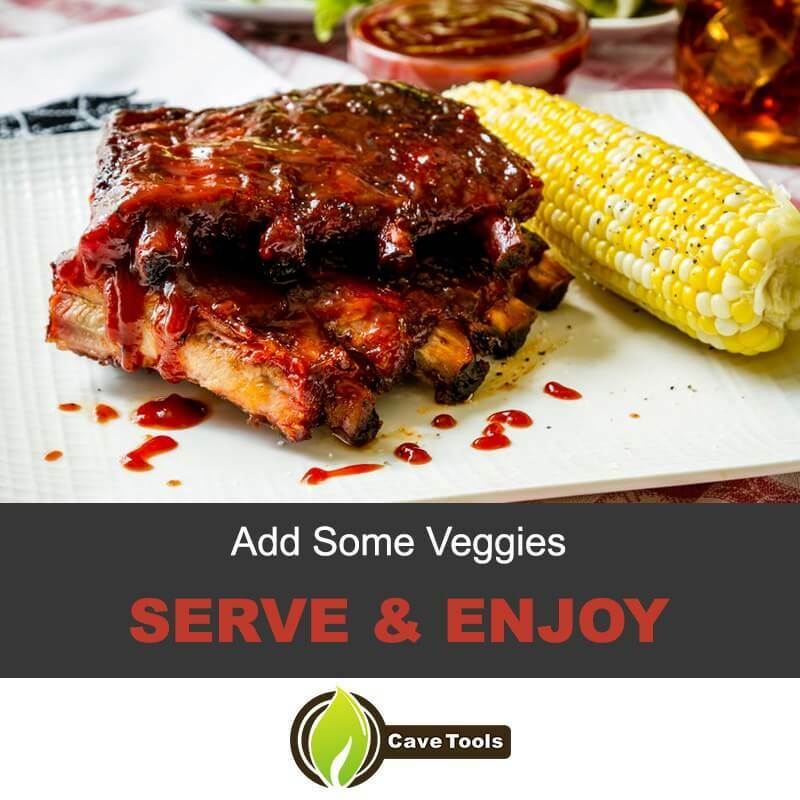 Do you want to try a new location for your favorite barbecue restaurant or maybe it's time to do it yourself? 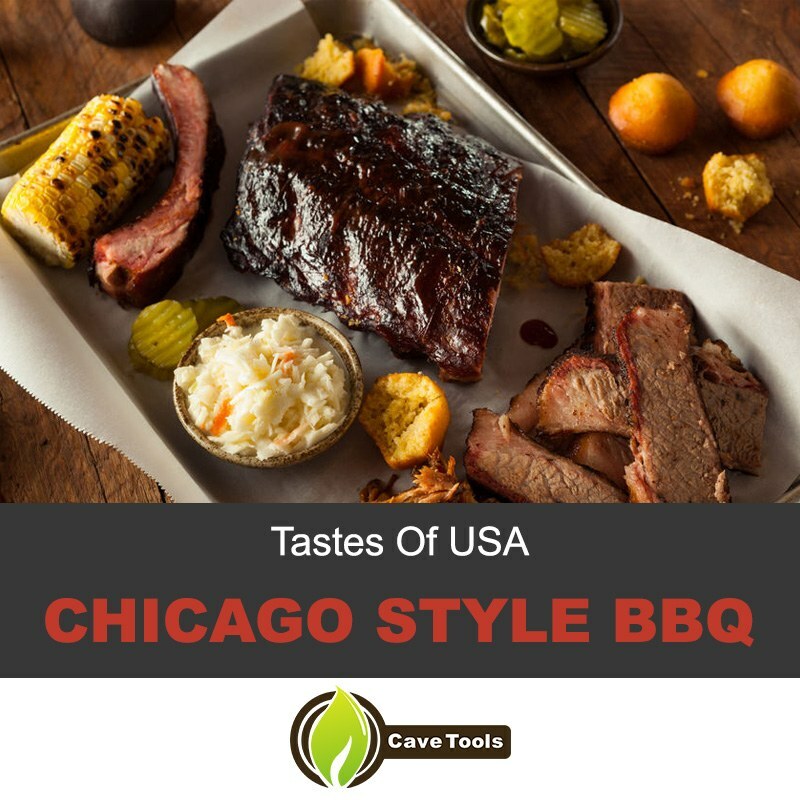 We've already covered quite a few American barbecue styles but today in our Tastes Of USA BBQ series﻿﻿ I am going to tell you all the secrets behind the true Chicago style BBQ! Although Chicago style BBQ may not have roots as deep and long as Texas, Memphis or Kansas City, the style maintains itself as a northern powerhouse. It's a popular item among sit-down foods in the area. Barbecuing since the 19030s, Chicago has a unique barbecue flair originating from the South Side—slowly smoked ribs slathered in a slightly sweet, glazy sauce. However, the true focus of Chicago barbecue has (and certainly always will be) the meat. I encourage you to purchase a nicely marbled set of baby back ribs. A hearty protein to fat ratio is the secret to achieving the desired 'meat-hanging-from-the-bone' taste. After selecting a good rack, coat them in the thick rub detailed below. The meat can marinate in the dry coating for up to 24 hours. Personally, I leave them marinating overnight to unleash their maximum flavor potential. You may also choose to experiment with flavored wood chips during the smoking process. Many Chicago barbecue masters believe the star should be the flavor of the meat instead of the saucy coating, so using wood chips will result in the perfect smoky undertone. Pro-tip: Some Chicagoans believe rib tips provide the ultimate barbecue experience. These juicy nuggets pack a huge flavor punch in a small package. Either buy some from a butcher, or use a cleaver/mallet to remove tips from full spare rib racks. Then cut the following recipe in half in order to maintain the right proportions. If you don’t have access to a smoker, you can also make a boilbecue—boil the ribs or tips and then follow the steps below as you normally would. This cooking method may lack the flavor depth Chicagoans prefer in the meat, but it is still accepted as a form of Chicago style barbecue if followed correctly. Of course, you can always go the old-fashioned route of baking the ribs. Instead of placing them on the smoker, just pop them in the oven at 225°-250° for 3-4 hours until tender. Make the sauce and rub as described below for a tangy-sweet Chicago treat. I’ve found that these ribs are great to make for a larger party, such as a cookout or family picnic. We smoke these every 4th of July and it always ends with three or four people asking for the recipe. For 10 people, simply multiply the entire recipe by five and increase cooking time by an hour if smoking all at once. For a real kick, add a teaspoon of Old Bay or Lawry’s to the rub. Just be sure to reduce the celery salt to accommodate the added sodium. Or you can add an herb, like thyme, to bring out a lighter profile in the meat. If you prefer a little more punch, consider adding ¼ cup Worcestershire and a dash of red pepper flakes to the barbecue sauce. This will cut down on the sweetness without taking away from authenticity. 1. For the ribs: Combine mustard, paprika, brown sugar, celery salt, cayenne, and the garlic and onion powders. Reserve around a tablespoon for the sauce later. After patting the ribs dry, apply a thick coating of the dry rub. The bbq ribs should now be wrapped in plastic and marinated for 1 to 12 hours in the refrigerator. 2. Once the ribs have marinated, allow them to rest at room temperature for 30 minutes. Preheat your grill during this time. For a true Chicago style BBQ, the temperature should range between 225°-250°F. You may need to add chips or logs during smoking to maintain this temperature. Learn the smoke flavors that different types of wood add to the meat in this article! Hickory wood is a popular choice, and your baby back ribs will definitely have the smoky flavor worthy of a true barbecue restaurant​ in Illinois. 3. While the grill heats, make the sauce: Whisk together the wet ingredients in a saucepan over medium heat. Incorporate the dry ingredients thoroughly and then bring to a simmer. Stir continually until thickened, around 30 minutes. Set aside at room temperature to develop a complex flavor profile. 4. 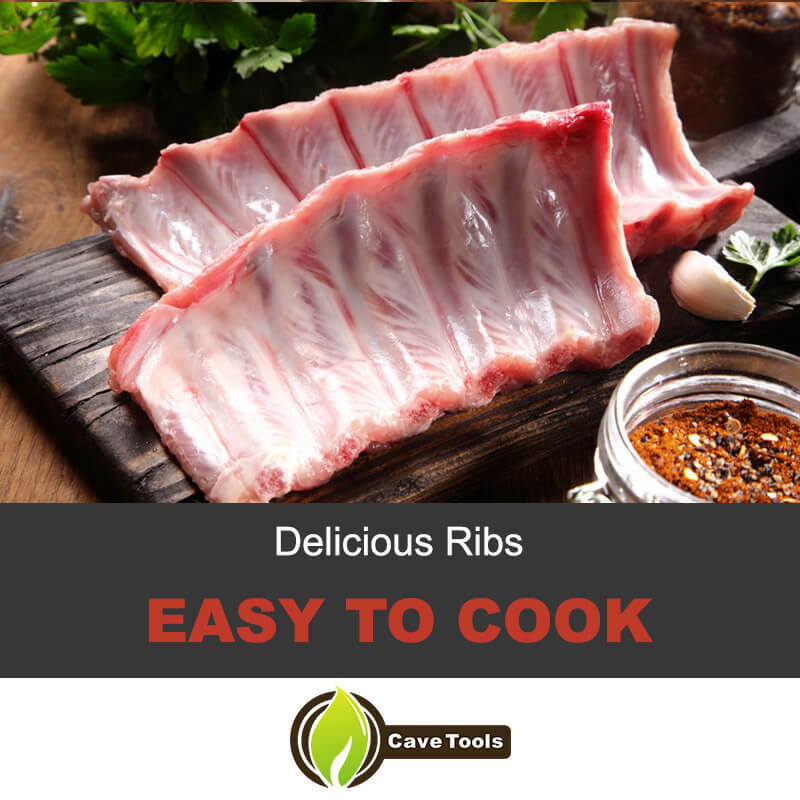 After the grill has reached the desired range, arrange the ribs in a single layer. Turn once halfway through, around the second hour. 5. After the meat can be pierced easily with a knife, go ahead and coat them completely with the sauce. The more you add, the thicker it will stick to the finished ribs. Allow the ribs to smoke for an additional 30 minutes before serving. Wait for the end result. Sometimes I like to reserve a little bit of the bbq sauce to dip the ribs in later. You can also just whip up some more while the ribs finish if you want to use it all during smoking. If you want, you can serve these with a hearty helping of mac and cheese or grilled corn on the cob or any other veggies. I love adding some paprika, salt, and pepper to a fresh ear of corn and grilling it for a few hours wrapped in aluminum foil. The sweetness from the charred kernels perfectly compliments the slightly sweet Chicago barbecue sauce. Make a vinegar-based coleslaw or creamy polenta to really wow your friends. I usually only go the extra step for special occasions, but the flavors really add the perfect touch if you have the time. If this tutorial seems intimidating to you and you’re not sure where to start, watch this video: Make a Tasty Pork BBQ Ribs Using a Smoker Right in your own kitchen! What do you usually serve with your ribs? With some sweet sauce, french fries, this will definitely become one of the best dishes you've ever tried. Did you find this Chicago style BBQ recipe helpful? Let us know in the comments! What are the Five Distinct Styles of Chicago Ribs? There are five styles within ​Chicago style bbq. Boilbecue boils the ribs before grilling them. Mississippi Delta style cooks the ribs over ribs and serves them on top of slices of white bread. Smokeless cooks the ribs first in the oven before grilling them. Fusion barbecue adds Asian and other tomato-free ingredients. Digital uses gas fire pits with wood added for flavor. All these styles can be found miles and miles around the area. How Long Can you Marinate Ribs? Pork ribs can marinate for as long as 5 days, so long as it does not pass its sell-by date. This may be too long depending on the ingredients in your marinade. If it is a dry-rub marinade, then long periods of time will simply add flavor to the ribs. If it is a wet marinade, the acidic ingredients can break the ribs down over an extended period of time, making them tough. The recommended amount of time for a marinade is 12-24 hours, or overnight. Either way, it is worth the wait. Rib tips are the small section created when the spare ribs are trimmed. Trimming spare ribs gives them a squared appearance. Rib tips are a popular choice for Chicago-style ​BBQ. Boilbecue is based on an Eastern European style of cooking ribs. They are boiled before being coated in sweet sauce, then they are grilled. 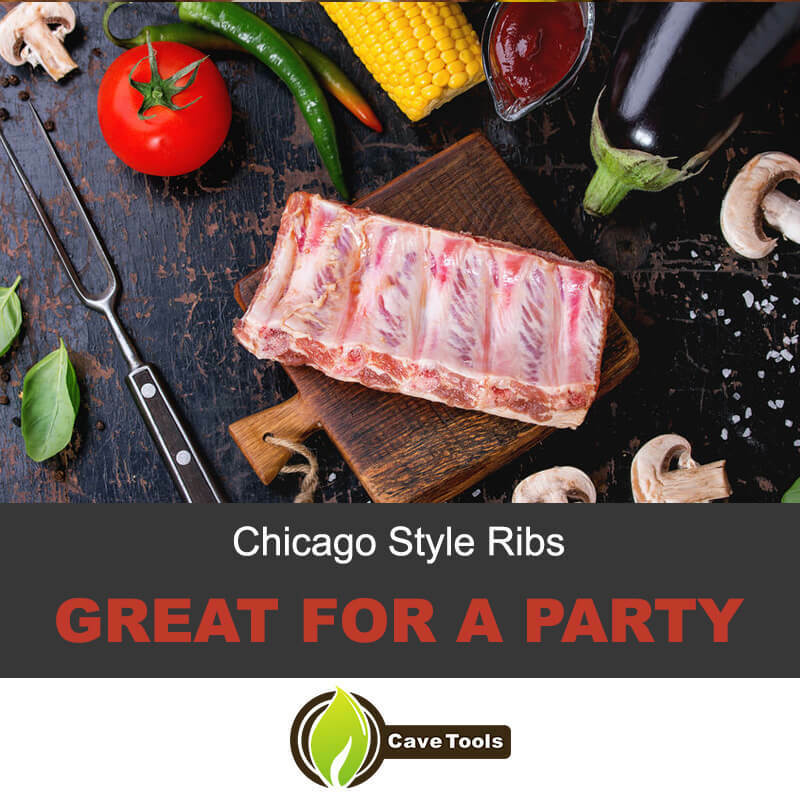 This makes a very tender bbq rib and is one of five traditional ways to cook Chicago Style barbecue​ BBQ. How Do You Know When BBQ Ribs are Done? You know when bbq ribs are done when they reach 170 to 180 degrees F. This should take about 3 to 4 hours of wait at a cooking temperature of 225 degrees F. You can also twist one of the rib bones. If it moves freely, the bbq ribs are done cooking.